In France, there was a day of disaster. Coronation is being done, the sham king precisely look like the original king. The wretched man is actually the twin brother of the king. The conspiracy was over with take king by the king's opposition parties. Once the conspiracy is leaked and then the fake king is punished. all over his life, he must wear a iron mask. Read the full story from the ebook pdf. 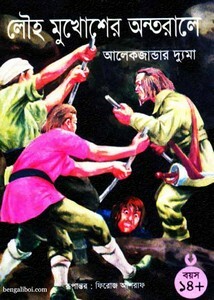 Louho Mukhosher Antarale (The Man in the Iron Mask) originally written by Alexandre Dumas and translated into Bangla by Firoz Ashraf. The pdf has 162 quality pages, 6mb.